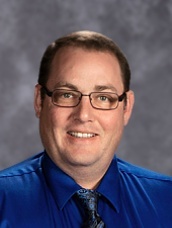 My name is Mr. Ypma (sounds like Eep-ma) I have been a teacher at Cascade Middle School for over 20 years and I am currently teaching 8th Grade English. Teaching has provided me with amazing opportunities to grow as person, and as a professional. I can tell you countless stories; some positive, some funny, some somber, and remember countless students that have impacted me and the way I view the world of education. I have also developed a well rounded professional background. Including experience in teaching 6th grade, middle school math, social studies, english, reading, journalism, video production, yearbook production, as well as coaching: football, softball, track, basketball, and my favorite sport golf. If you have any questions please contact me either by phone or by email.